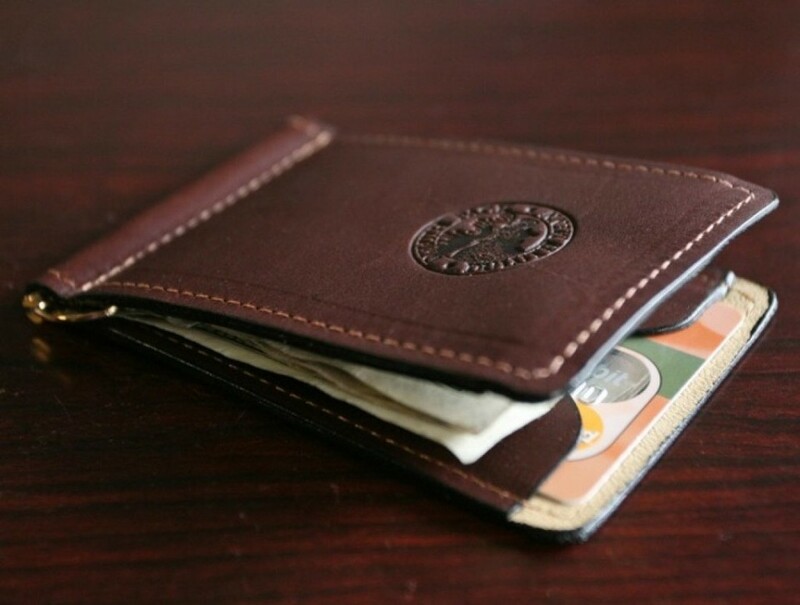 Carrying a wallet is about organizing your stuff and keeping everything in one location. It’s meant to be an EDC file drawer. 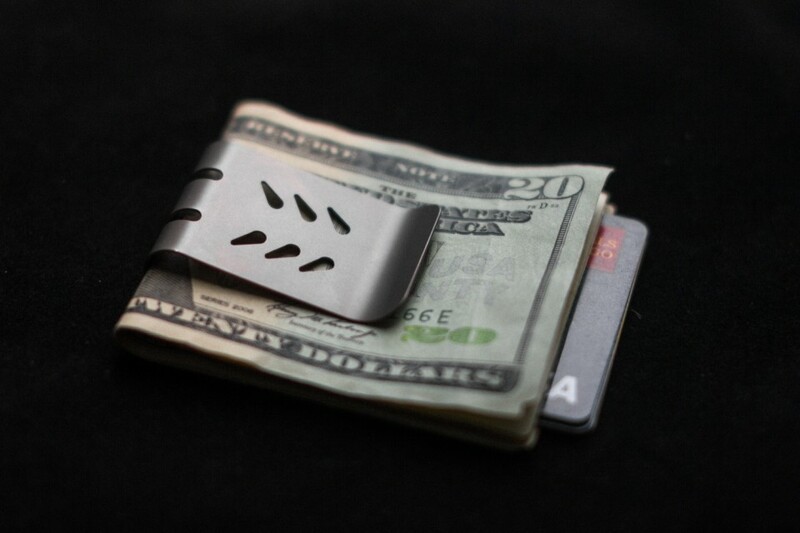 Diametrically, a money clip is not so much about organization as about having a slick piece of kit to keep your stacks and stacks in check. 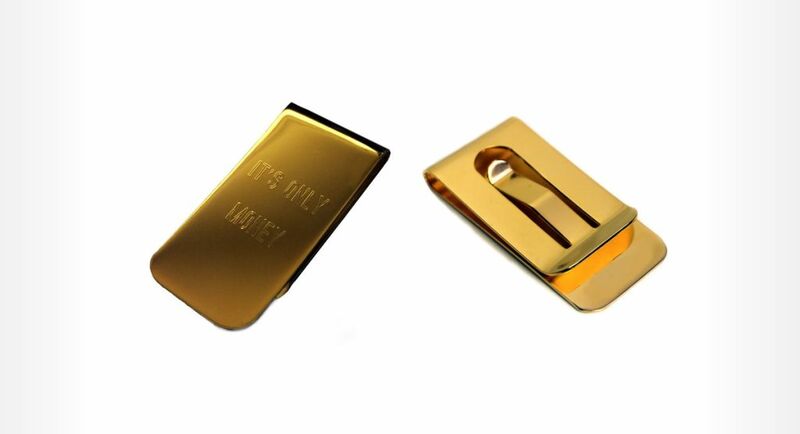 Meant to show off your style, add flair to your purchases, and be a conversation starter every time you want to make it rain, your money clip should say to the world that you have arrived and are about to drop some serious coin. 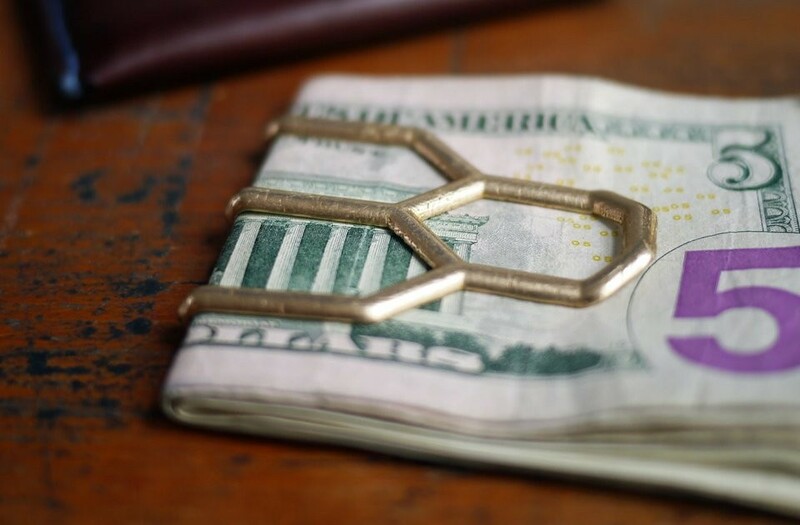 Since money clips are built to astound, you should be thinking mostly about style when you get one, but we also felt it important to give a nod to form and function; just so you don’t drop your wad. 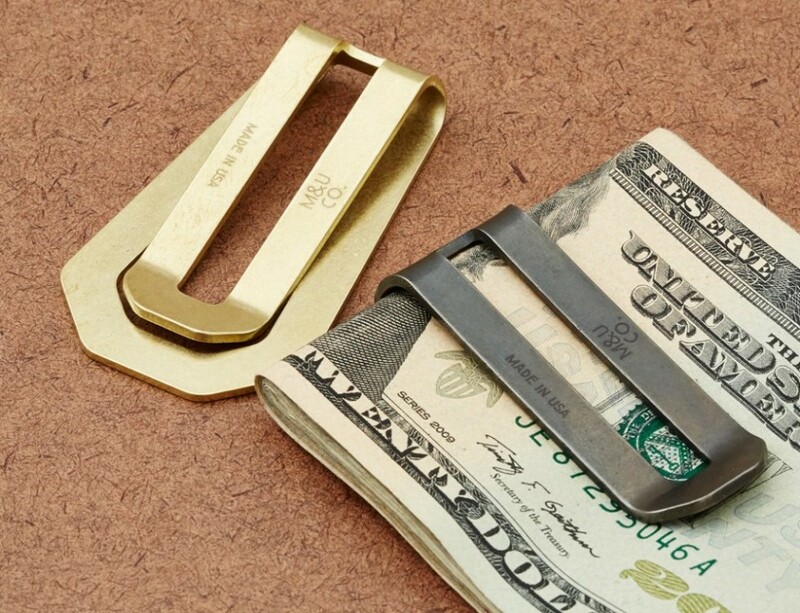 For solid construction that’s as handsome as it is handy, we’ve got 18 cool money clips for any budget and every style. 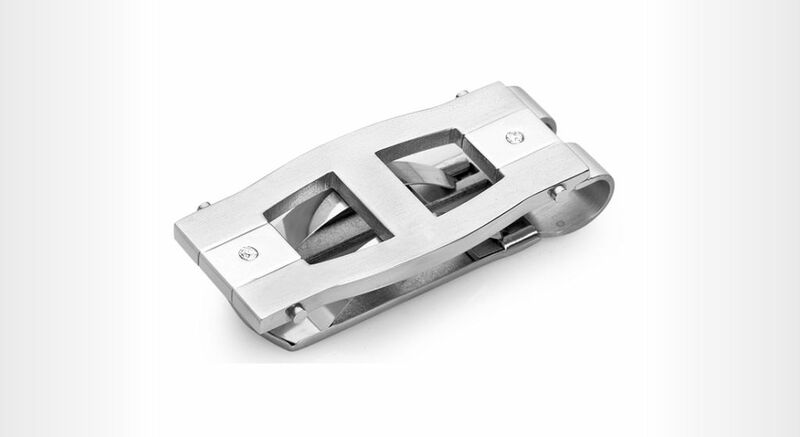 Scrapper: Walking around with a set of brass knuckles is likely to get your arrested, but carrying a harmless aluminum money clip that just happens to be capable of dealing out damage: that’s just good sense. 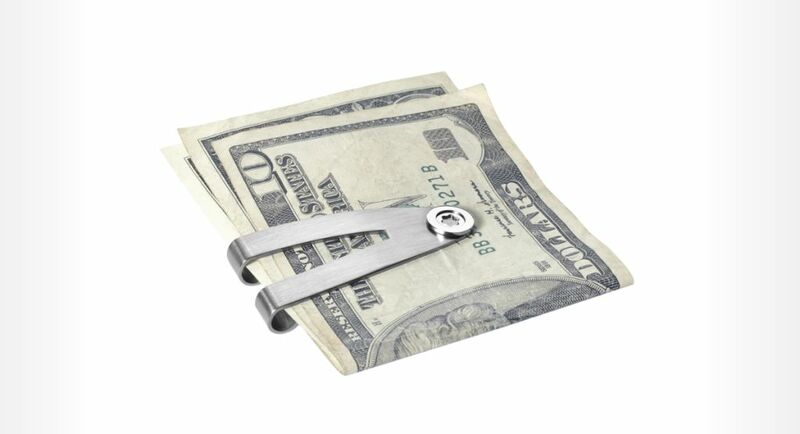 Stainless tension keeps your bills in place and the swing it adds to your fist puts would-be muggers in theirs. Understated: There’s several brass options for snapping your bills together, but most of them come with more pizazz. 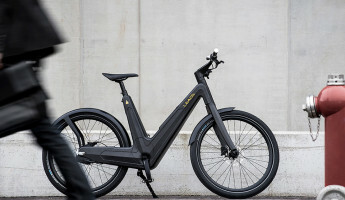 Low on garishness, the Mint Condition brings in the brass gently, with a coy pun inscribed on the front and the security of masterful engineering backing it up. Take Your Cut: Life in a rough neighborhood is dog eat dog, so unless you’re the one with the bigger teeth, you’d better have help. 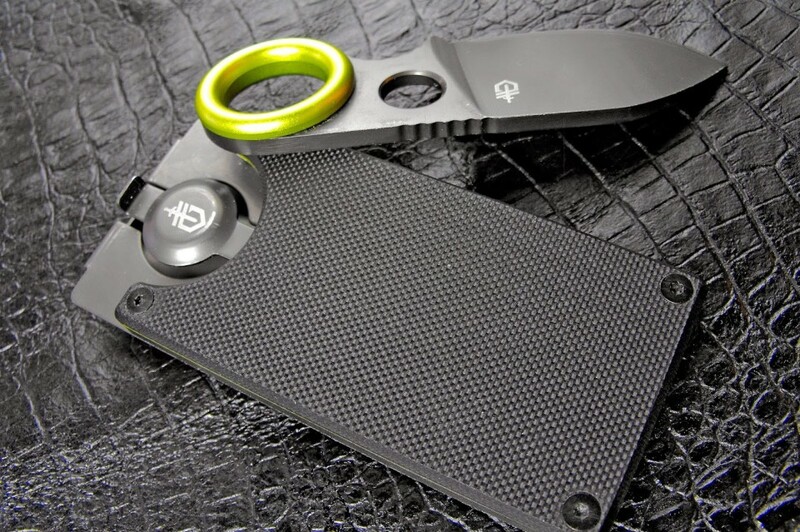 Gerber knows high-quality knives at low cost, so this isn’t a cute nod to personal protection, it’s a nasty pig sticker that guards your stuff with a vengeance. 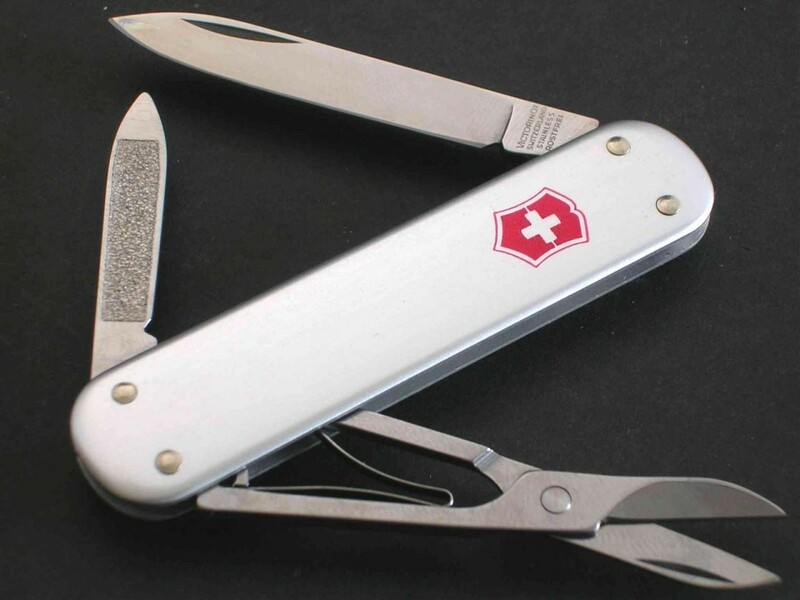 Be Prepared: Victorinox invented the Swiss Army knife; with this they give it a makeover. Several on-board tools allows this to replace many EDC items and keeps you well-groomed and ready for anything. It also holds your money. Bold As: Nothing else look like brass, and as it ages and develops its own patina it will take on a life of its own. 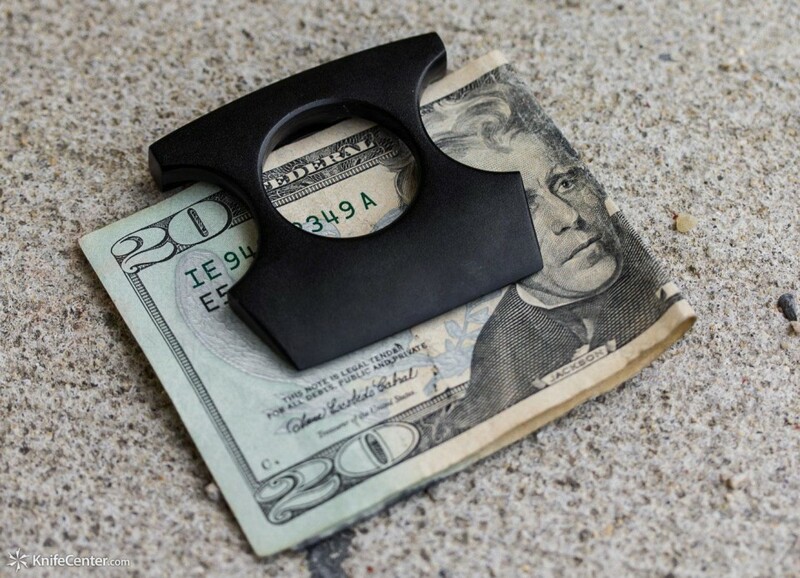 Made in Brooklyn from the cut to the engraving, the piece is dense and weighty, but also low profile so it doesn’t occupy space during everyday carry. Snap To: Interconnected steel bars complete with a spring-loaded body keep this coiled to strike while also looking relaxed and masculine. A touch of sparkle in the form of a pair of cubic zirconia on each end help catch the light, while the tight center won’t let any bill slip away. 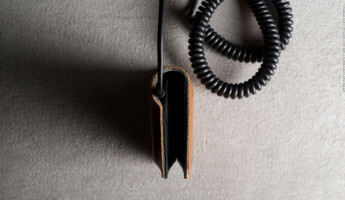 Leather, Man: The magnetic back can store a few bills, but the better story is the quickdraw credit card slot that lets your plastic to come out and play without getting hung up. 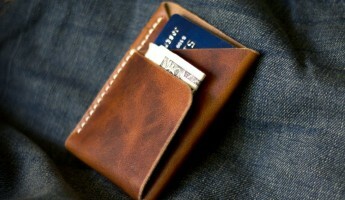 It only comes in high-quality, full grain brown leather, because it’s meant to be used, not admired from afar. Masterful Manufacturing: Made by hand in New York, the Derby City uses a lost-wax casting to create the slight honeycomb shape in either white or original brass. Every piece is slightly different from the beginning, and will patina differently from any other over time. 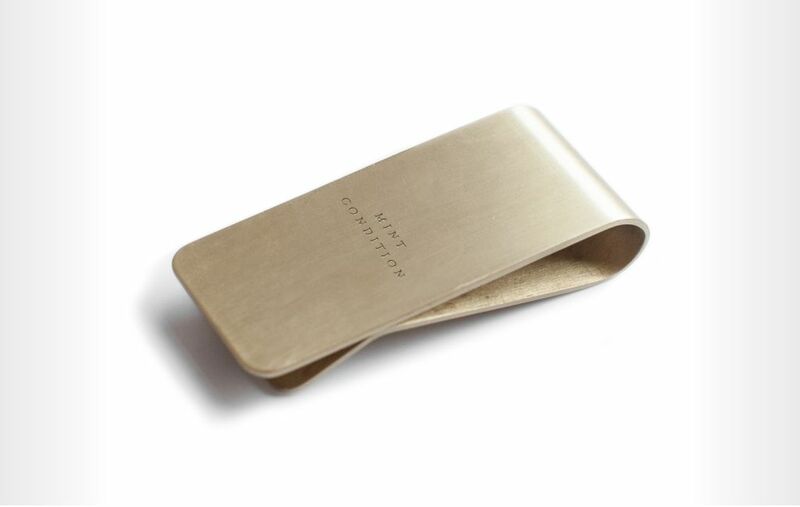 It can hold 20+ bills with enough shoving, and the hand polishing adds a distinctive flash. 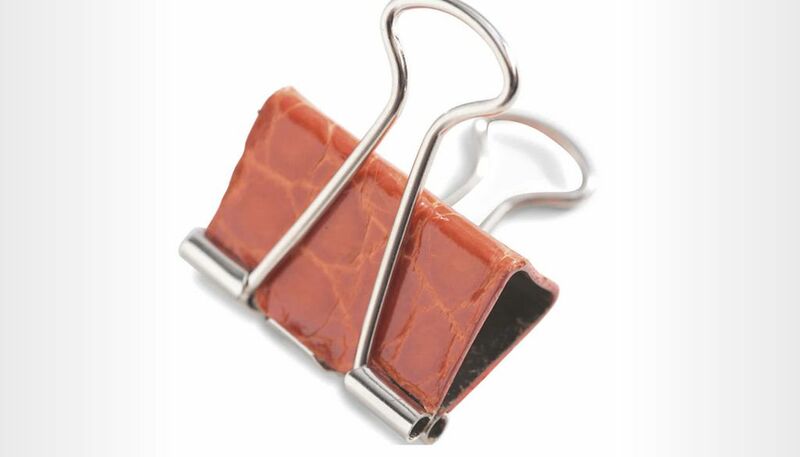 Snap Shut: It looks like a binder clip because that’s precisely what it is, and that’s genius. 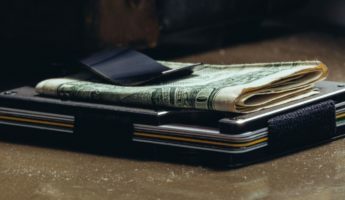 Completely secure and multi-purposed, the Glazed ‘gator is crafted with real American Alligator skin and keeps cash clipped down hard and tight come hell, high water, or greedy pickpockets. 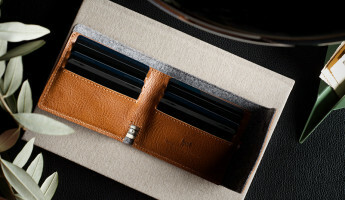 Something Familiar: It’s true that this falls into the category of minimalist wallet with its traditional bifold design, but with the bills clipping in the center while flanked by card slots, we say it’s whatever you want. The array of color options caught our eye, allowing us to use it for completing a few different pub-crawling outfits. Racks on Racks: Capable of holding fully 60 folded bills or half that along with several cards, this totes a slot of dough around. 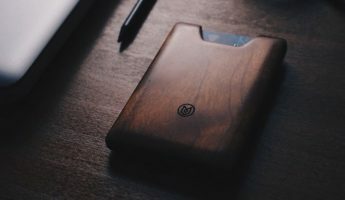 Despite the capacity to stretch, it’s also built using pure American titanium with 3D modeling, so it to snaps onto a single bill as easily as a stack. 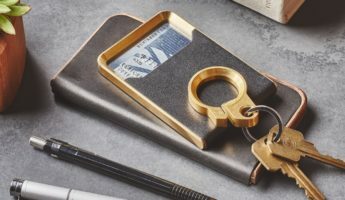 Gold Standard: Glibly etched, there’s a lot to love about this 18-karat gold-plated article from the smooth operators at Owen & Fred. In addition to the eye-catching plating, it’s hand-polished and then bathed in 22-karat gold for more shine than anyone really needs (but most of us want). Wallet Replacement: While it only comes in classic brown leather or midnight black, the Vviper has style to spare. 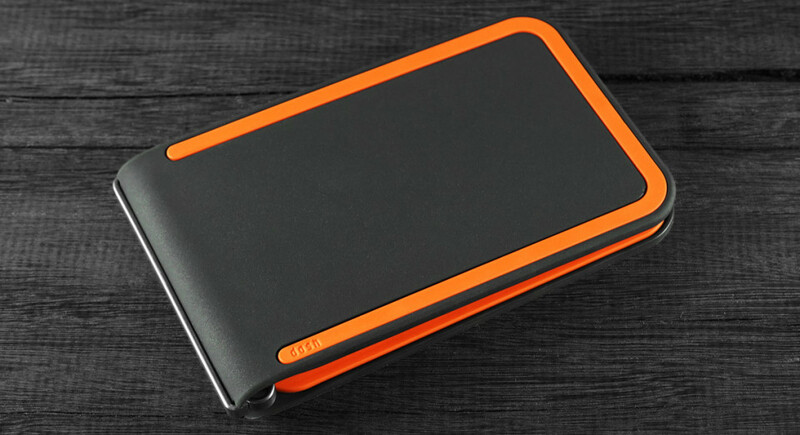 A magnetic flap covers the goods and deters theft while carbon fiber or a red accent catches the eye. 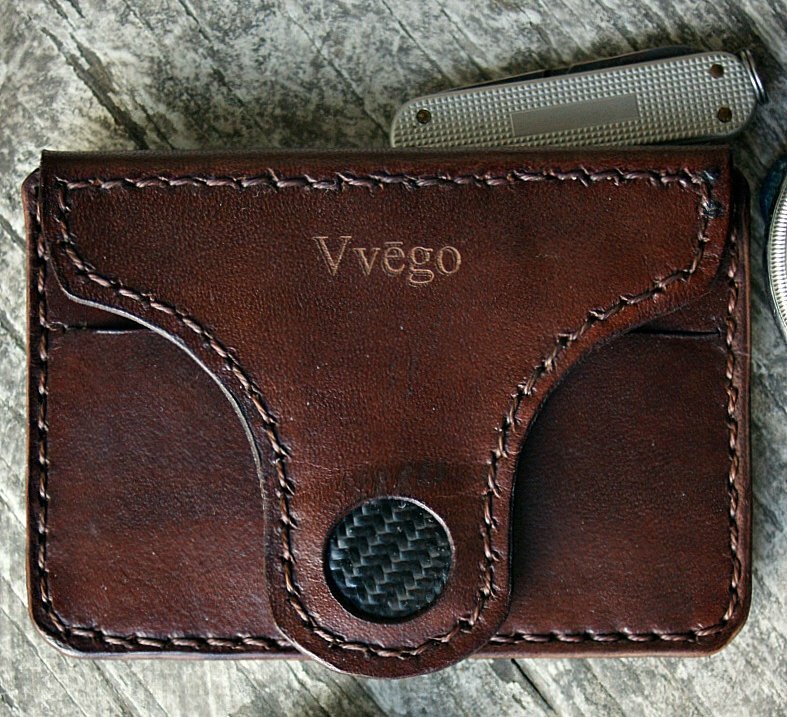 Each one is hand-stitched using saddle thread and backed by Vvego’s “Take It To The Grave” warranty. 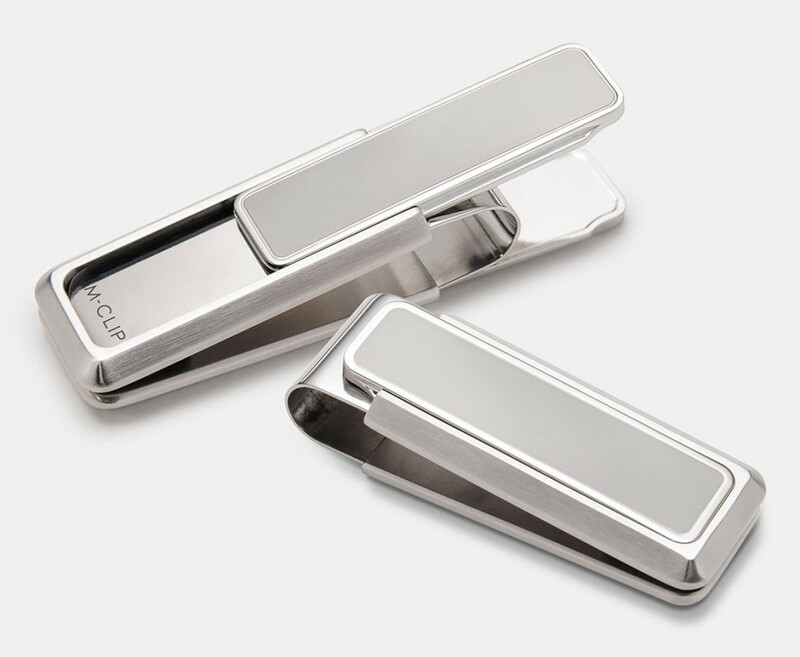 Only the Best: The M-Clips have a real fashionista flair to them thanks to the bright stainless steel and accented pincer pieces. Handmade the whole way through, there’s carbon fiber inlays that can interrupt RFID skimmers behind any number of beautiful sliding accents. 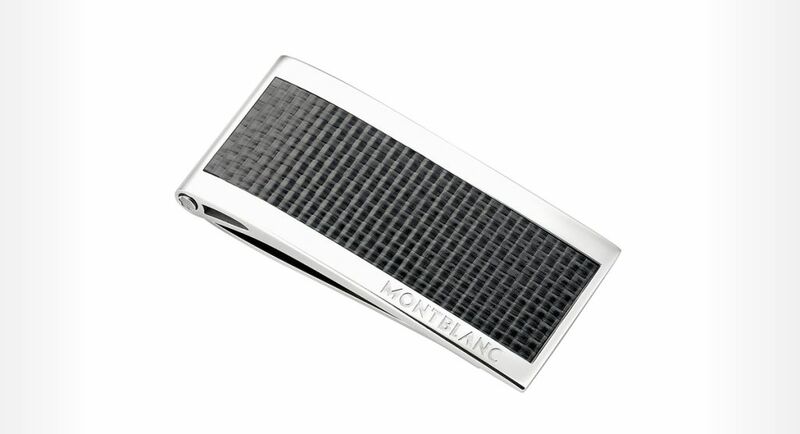 Gentlemen Caller: The name Mont Blanc means quality as much as elegance. Though miniscule in size, the craftsmanship comes across the second you pick it up. Those who know refinement will recognize the branding on the end; those who don’t, don’t matter. 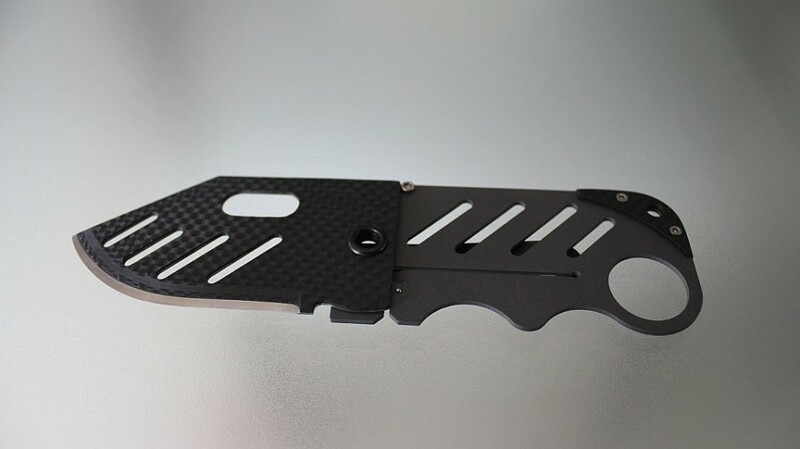 Concealed Weapon: Capable of being carried around on a belt, clipping money by itself, or disappearing into a wallet, the Creditor is made out of titanium, carbon fiber, and D2 tool steel. It stands up to daily, hourly, and long-term punishment, even if you’re a first responder in hell’s suburb. 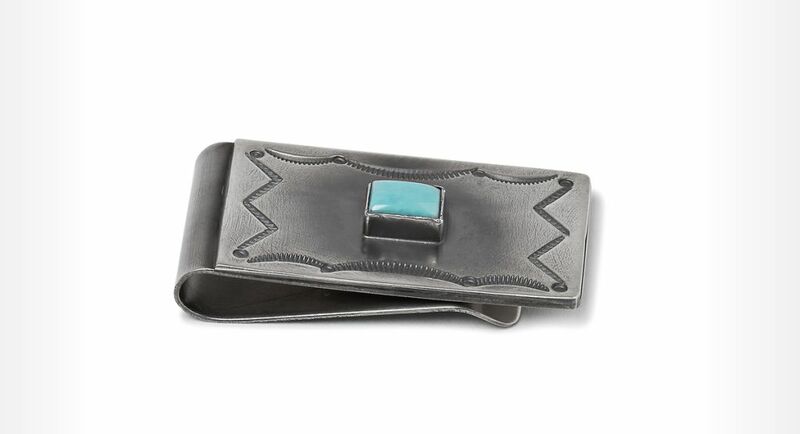 Santa Fe Original: From the heart of the southwest comes an authentic clip adorned with real Navajo turquoise. Striking, reliable, and gorgeous, one glance is all that is required to start a conversation, or close the deal. Go for Broke: We say you can never have too much Mont Blanc on your person, and this proves it. 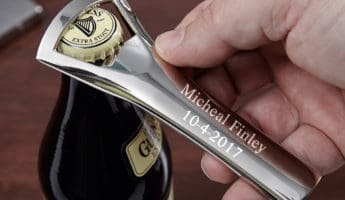 The carbon inlay serves to set off the luster of the stainless steel around it, while the svelte build makes it virtually disappear into casual or formal wear.